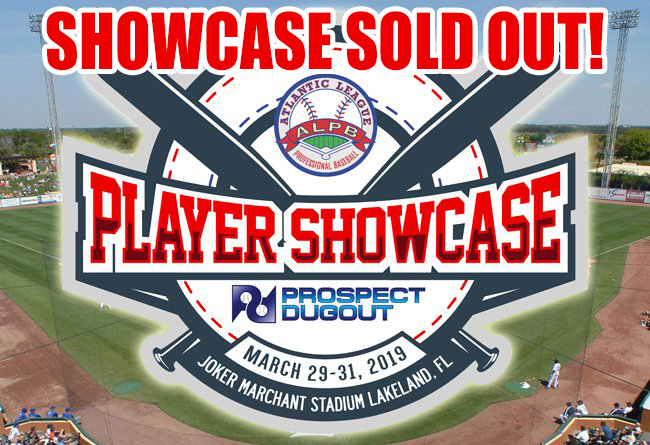 Over 250 players registered for three-day event in Lakeland, Fla.
(Lancaster, Pa., March 22, 2019) – The Atlantic League of Professional Baseball and Prospect Dugout (PD) announced today that the Player Showcase being held March 29th-31st at the TigerTown Complex in Lakeland, Fla. has sold out. More than 250 players have registered for the event, exceeding the league’s initial forecasts. Dugout provides exposure, information, and instruction for baseball players seeking to transition to the next level of diamond sports development. PD resources benefit professional, college, high school, and youth baseball players. Founded in 2015, Prospect Dugout connects diamond sports players and coaches around the world. A digital resource initially built to help aspiring high school players get exposure for college, Prospect Dugout now directly impacts all levels of baseball, including Major League Baseball.